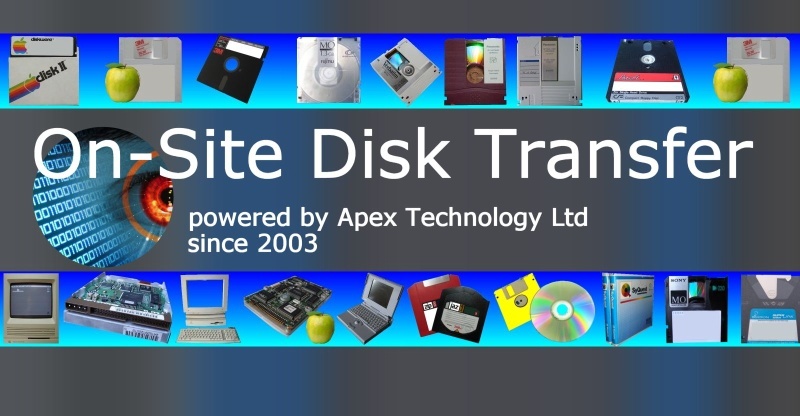 - Contact us now for a friendly chat to discuss your On-Site Disk Conversions. - We offer on-site (ie. mobile) disk transfer, conversion and data recovery service. - Our friendly team is happy to help transfer and convert your files data. - Disk Transfer at your premises, business , place of work, or home. - Convert MO Disks from Document Imaging Systems to PDF/TIF in Denmark. - Reverse Engineer Optical Disk Filesystem for Ministry of Defence (Porton Down). - Data Recovery from a NAS Station for Ministry of Defence. - Conversion of Panasonic Optical Disks to save files to hard disk. - Transfer Electronic Document Management System (EDMS) to Hard Drive. - Extract DICOM Images from MOD (Magento Optical Disks) to HDD. - Recover FileNet images from unreadable MO disks for UK Banks. - Convert Angiogram Optical Disks from Hospital X-ray / radiology department. - Transfer computerised tomography (CT) scans from Magneto Optical Disks. - Recover magnetic resonance imaging MR / MRI from Optical disks and CDs. - Extract OpenText files from corrupt MO Optical Disks. - Read faulty DVD-RAM cartridges for UK Bank. - Recovery of PDF documents from Panasonic DIP Work-Station for local government. ... plus many more... so just ask us now if your is not listed! - We have a simple work procedure that cuts down your red-tape. - We can bring the necessary equipment to your site to recover your data. - We have undertaken mobile disk conversion work in UK, and Denmark. - Transfer Conversion and Recovery work conducted in a secure manner. Customers who have used our On-Site File Recovery Service? Click for On-Site Disk Transfer & Data Conversion News. Click for On-Site Disk Transfer & Data Conversion Reviews. Often there are concerns about the personal nature of the data, or financial records. Perhaps the data intellectual property means that the Quality Assurance departments will not allow the disks to leave your site. Well, we have the answer - a well tried and tested method for working at your site which has been accepted by MoD and NHS sites. It is simple to set up and ensure that your data remains at your site. It saves much internal red-tape and non-disclosure agreement sign-offs. Just email or call us now to discuss your situation. On-Site Disk Conversion and File Transfer problems that we recover data from are listed below. On Site,Disk Conversion,File Transfer,Data Recovery,Mobile Data Recovery. On-Site Disk Conversion Service - we come to you for file transfer Disk Migration data extraction. Extract Files Transfer Data Migrate Convert Data Recovery.